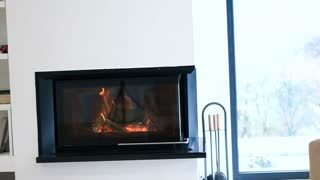 Modern Female Business Woman Dealing With Money and Reading Work Documentation, Sitting in Chair Against White Wall and Fireplace With Candles. Dealing with smoking addiction - a woman shows a label reading Smoking and tears it in two. Dealing with stress - a woman shows a label reading Stress and throws it away. Dealing with depression - a woman shows a label reading Depression and throws it away. 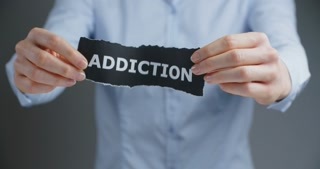 Dealing with addiction - a woman shows a label reading Addiction and throws it away. Dealing with debt - a woman shows a label reading Debt and throws it away. Female Student Holding Folder and Reading Homework, Sitting in Chair Against White Wall Decorated With Autumn Decorations in Room. Girl Student Posing With Papers and Folders, Smiling, and Sitting in Chair Against White Wall and Fireplace With Candles. Busy Successful Business Lady Talking on Phone, Informs About Information in Papers, Sitting in Chair Against White Wall and Fireplace With Candles. Girl Aspiring Entrepreneur Carefully Scans Paper and Rejoice Success, Sitting in Chair Against White Wall and Fireplace With Candles.